Need more information about booking Home 7294569 ? 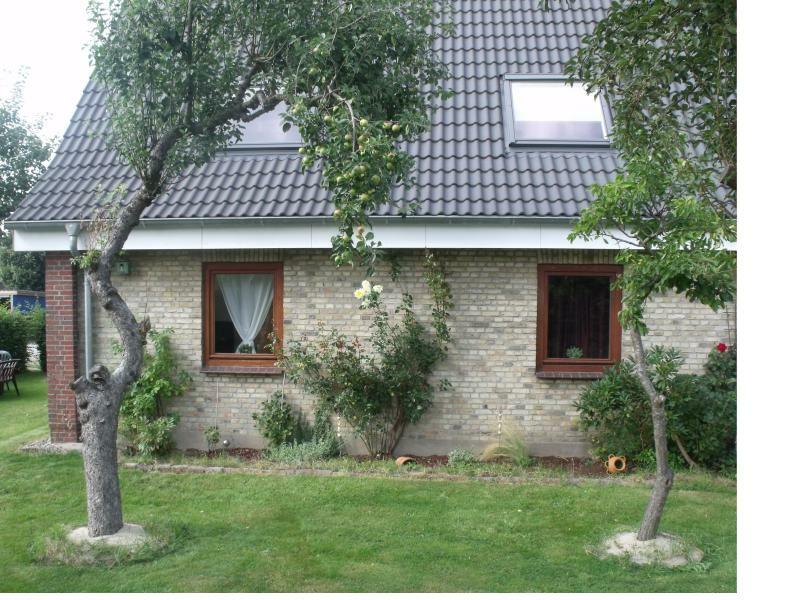 Beautiful apartment in the heart of Schleswig Holstein. It lies between two seas, so it is fast to North or Baltic Sea. Spend your vacation bzw.Ferien as once the young Theodor Storm was often like here. Separate entrance into the FEWO. Bathroom: bath with shower, sink and toilet. Bedroom: double bed, large wardrobe, fireplace (wood is available). Kitchen: coffee, kl.Backofen, fridge, double hob, crockery, cutlery, kettle and toaster. Living room: sofa, TV, radio and board games. Parking is with us on the farm. Sheets and towels are provided and included in the price, so arrive and relax. You can get in touch with Björn (the owner) through the contact form on this page. Send Björn (the owner) an email through the contact form on this page. Alternatively, if there’s a phone number on this page, you can call them. How do I contact Björn (the owner)? If you’ve already booked, go to Manage your holiday booking to view Björn the owner's contact details or send them a message. Or send Björn (the owner) an enquiry through the Contact the owner/manager form if you’d like a quote or more info first. When you pay online through the Book your stay form, a booking request is sent to Björn (the owner). You’ll find out within 24 hours whether they’ve accepted - no money will leave your account before then. You can also request a quote from Björn (the owner) through the contact form. The owner will email you the total cost for your dates and a link to book and pay online. Use the Book your stay form to pay provisionally online. You can pay by credit/debit card or PayPal. Björn (the owner) will have 24 hours to accept the booking and no money will leave your account before then. Why can't I call Björn (the owner) before booking? You’ll need to contact Björn (the owner) to do this. Send them a message in Manage your holiday booking or through the contact form on this page. You can request to change the dates or number of people on your booking via the Manage your holiday booking page. To change your holiday dates use the Edit booking button. If you need to change the number of guests staying then send Björn (the owner) a message. If Björn (the owner) agrees, they’ll send you a revised quote outlining the changes. You can review and accept/decline this from the Manage your holiday booking page. You’ll have 48 hours to take action before the revised quote expires.